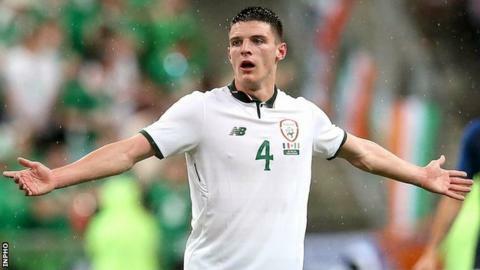 Declan Rice is free to start his England career after Fifa confirmed his switch from the Republic of Ireland. The 20-year-old West Ham midfielder, who was born in London with Irish grandparents, has played three times for the Republic. Because they were friendlies it left the door open to change allegiance. "Fifa can now confirm that the change of association of Declan Rice from Republic of Ireland to England has been approved," said a spokesman. Rice, who considers himself "to be of mixed nationality", pledged his international future to England last month. After representing Ireland at youth level, Rice went on to make three senior appearances last year, including games against France and the United States before the World Cup.